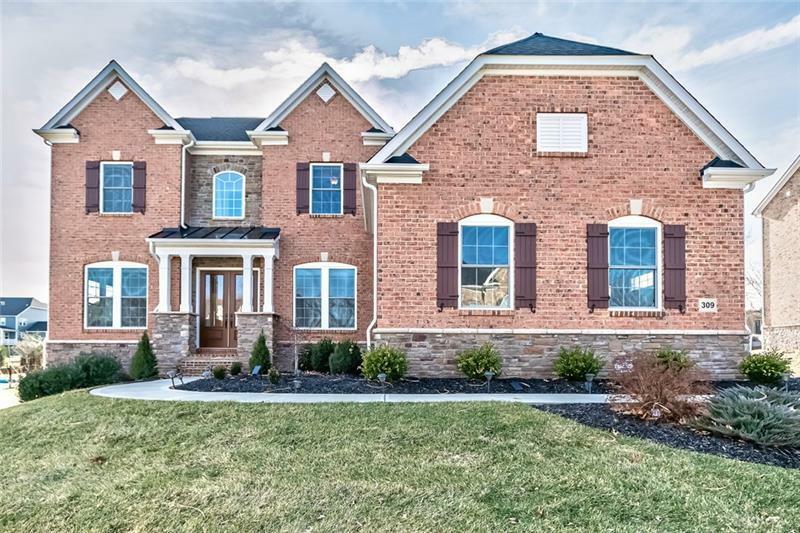 Gorgeous move-in ready home in desirable Emerald Fields. Situated on premium ½ acre lot w/level backyard. 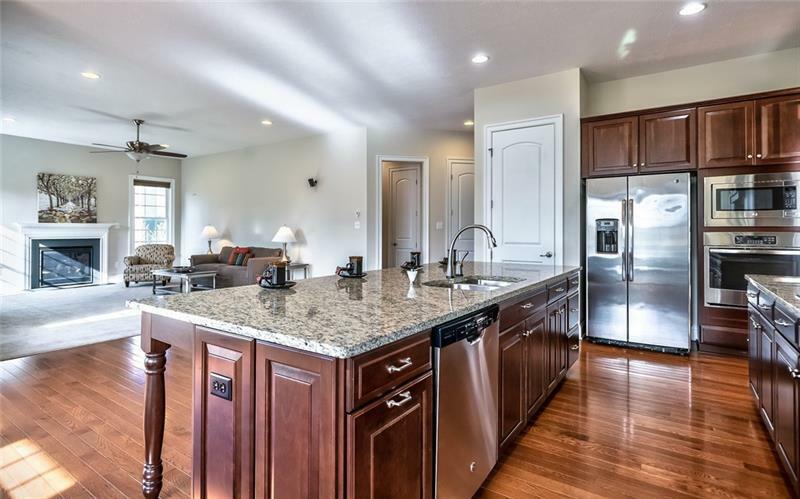 Well maintained home has extensive upgrades. 1st flr features 10 ft ceilings, hardwood floors, large windows for tons of natural light & whole house sound system. 2 sty foyer w/turned staircase. 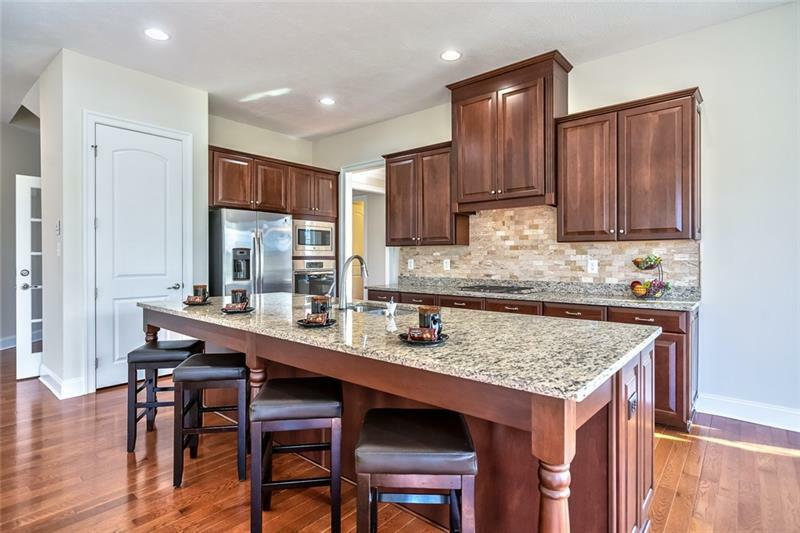 Gourmet center island kitchen w/morning rm, stainless appliances, cherry cabinets, granite, new back splash. Opens to family room w/fireplace. Desirable 1st flr den w/built-ins & crown molding. 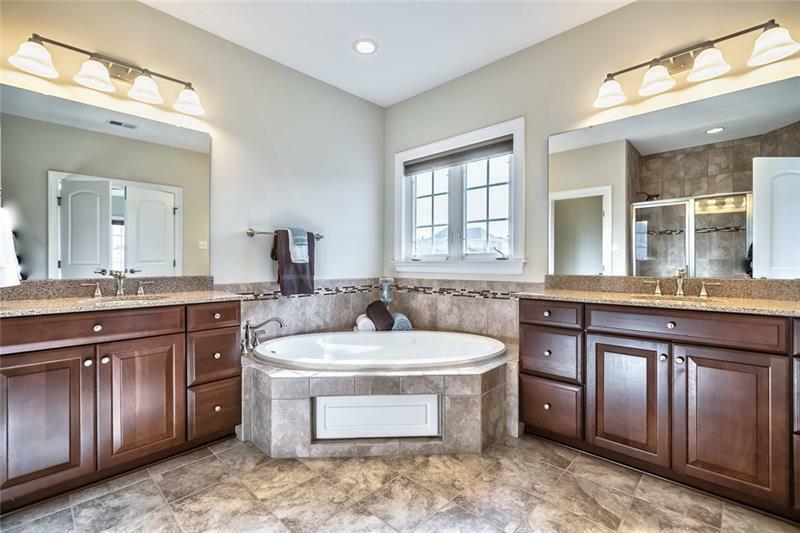 Master bdrm w/trey ceiling, 2 walk-in closets, spa bath w/2 vanities, jet tub, custom tile shower. 3 additional bedrooms, 2 baths (guest & jack&jill), laundry complete 2nd fl. Finished LL w/huge game rm, full bath, walk-in closet w/shelving & unfin area for storage & so much potential. Morning rm leads to fabulous new stone patio, professionally landscaped yard. Walk to Community Park. Minutes to I79/279, PA Trnpike, Wexford & Cranberry, Pine Community Center & Pine/Richland schools!